This unique estate, which was the first one in Mauritius, is not only a haven of peace but also a golfer's dream with gentle breezes and the lowest average rainfall of the island! views of Mount Rempart and the tow-ering mountain range. At Le Dix-Neuf, an unexpected restaurant on the Golf Course, you could be anywhere else in the middle of the African Savannah... Overlooking the 18th hole, the Rempart River and Tamarin Bay, Le Dix-Neuf, open every day, offers an international cuisine with a Mauritian flare in a unique set-ting. Take a sip after a round of golf with your friends and watch the sun setting on the Tamarin Bay from the gazebo. Non-members are most wel-come too, to enjoy the tranquility and beauty of the location during a lunch. You want to be on the beachside and play golf? Just enjoy the elegant simplicity of Tamarina Boutique Hotel, a unique 4-star hotel of 50 rooms be-tween mountain and appealing wa-ters. 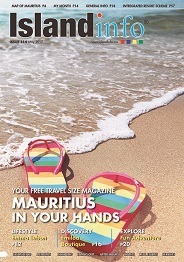 Make the most of your all inclusive golf package; relax at the spa or on the beautiful beach of Tamarin Bay. The Tamarina Golf Academy has been specifically created to enhance the learning environment while incorporating the natural beauty of the sur-rounding area. A large instructional fa-cility next to the Club House with a panoramic driving range and the serv-ices of our PGA Professional provide for practice opportunities and individ-ual lessons for all ages. Our stress-free teaching structure allows you to work and have fun at your own pace, what-ever the level of ability! Golfers will also have the opportunity to improve their putting techniques with our Pro, the only Harold Swash Accredited Putting Instructor of Mau-ritius here at Tamarina. Personal instruction at Tamarina academy is complemented by the latest teaching technology including comparative video analysis where your swing video is split-screened with some of the best players in the game of golf. We also offer lessons and workshops during holidays for children as from 5 years old! 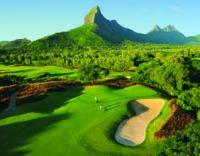 Be our guest and discover Tama-rina, one of the leading golf resorts in Mauritius.